A major alterations and additions to a single storey Federation Semi detached residence. 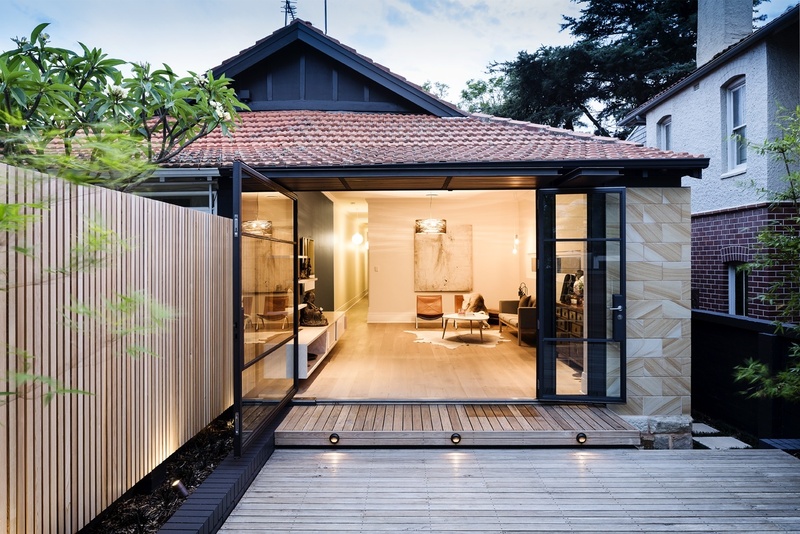 A pair of large steel framed doors have been used to create a connection to a north facing courtyard and the Living room of this house. The works included extensive joinery and a bathroom refurbishment. 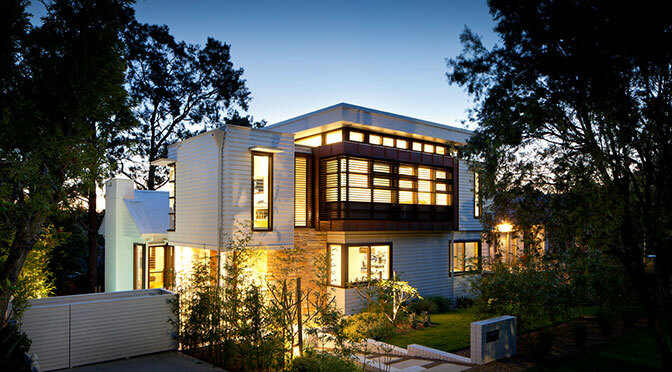 An alterations and additions project in Clontarf, Sydney. It was of a necessity that the brief address this poor relationship between inside and outside of the existing house, together with an upgrade and extension of the main living area and kitchen. 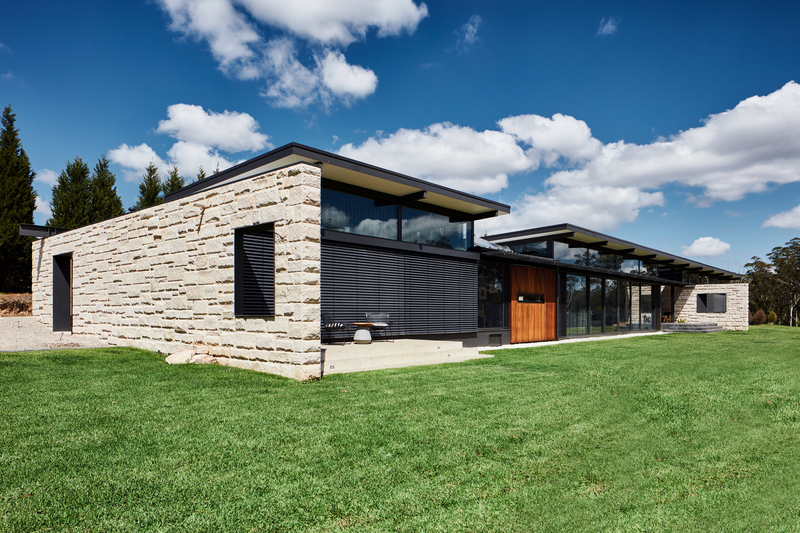 The finished house uses simple ground floor skillion roof forms to create the much needed ground floor addition and protection from the northern aspect. 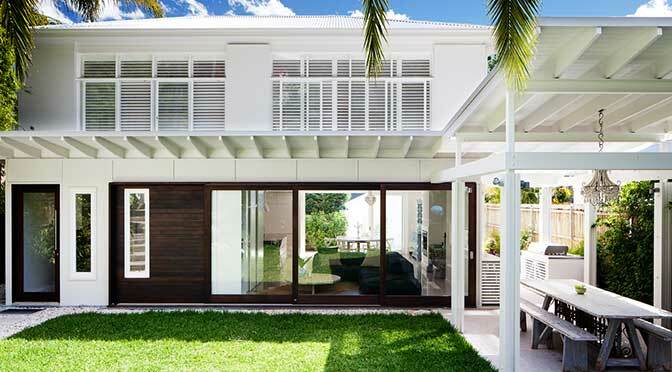 A giant timber glazed triple slider, stained dark to contrast the white bulk of the house, is used to give that vital connection between the inside and the outside and through to the rear yard beyond. An interior refurbishment of an apartment within the heritage listed “Carinthia” building in Kings Cross, Sydney. 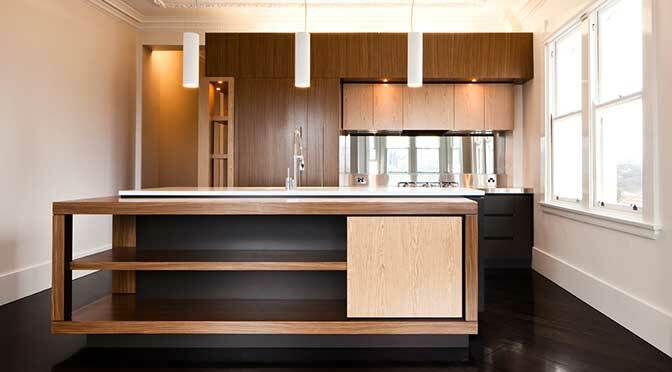 The use of custom joinery is the feature of this project. 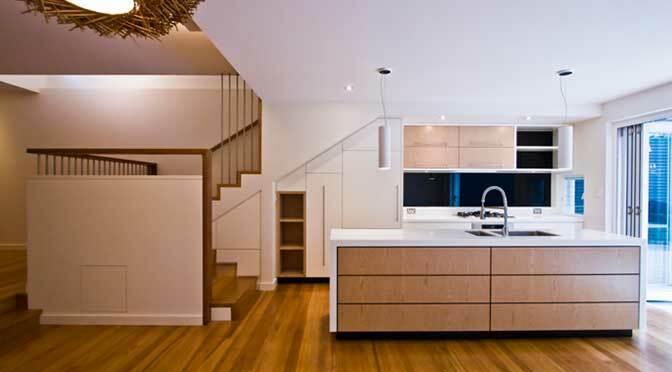 A continuous band of customised joinery continues along the entire length of the corridor and wraps around into the Living area to form the kitchen. The joinery design was intended to break away from the traditional notion of the corridor in the older style apartment as just a means to circulate between rooms, whereby part of this joinery wall becomes doubled sided allowing the creation of Robes for the master bedroom on the reverse side. 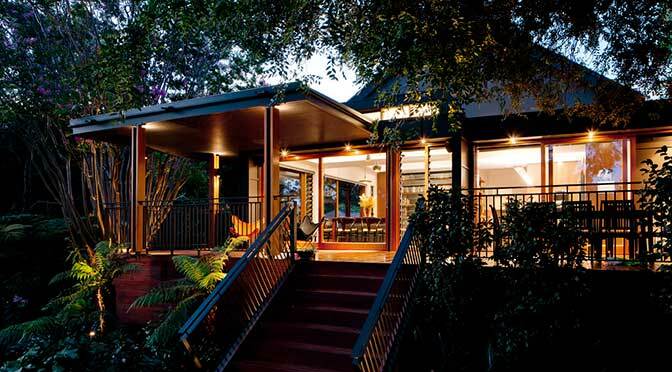 Alterations and additions 1940’s residence in Lindfield, Sydney. 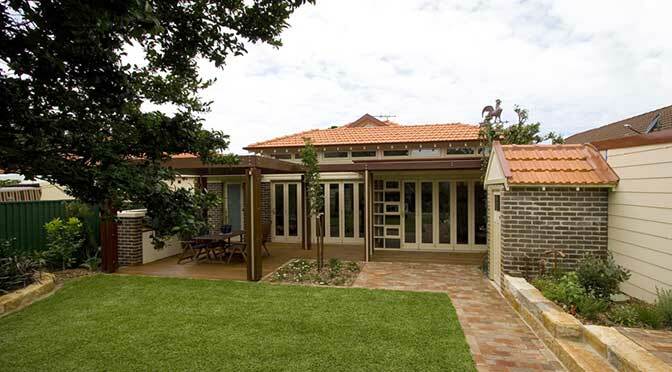 The existing house, set within bush prone land, retains the red brick context of the existing house in the new ground and first floor addition. A master bedroom suite is accessed via a new central spine stairwell with the dual purpose of providing circulation within the house and allowing light and ventilation to penetrate into the internalised rooms below. A major alterations and additions and refurbishment of a Victorian single storey terrace. Two additional bedrooms and bathroom in a lofted cathedral style extension have been added to the house. The extension has been located at the rear so not to disrupt the classic line of single storey terrace fronts. A light well over the new staircase is critical in giving much need daylight to the centre of the house. 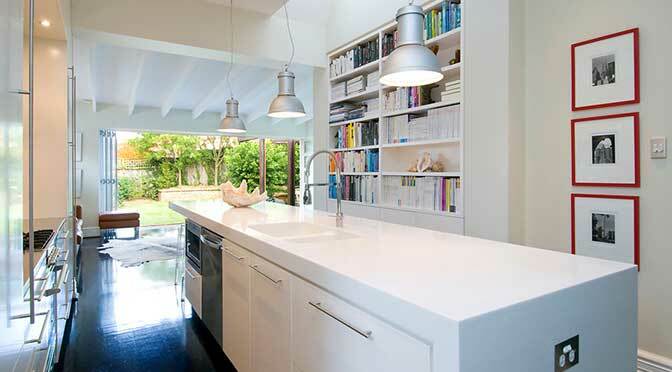 A major alterations and additions and refubishment of a 1920’s Californian bungalow. A sympathetic ground floor rear addition has been carried out on this historic example. 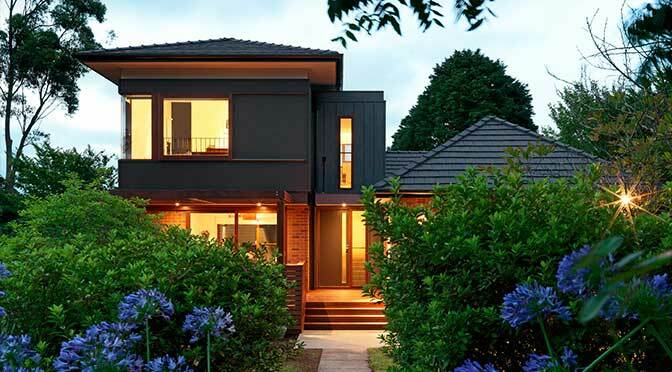 A major alterations and additions to a late 1970’s terrace style house. The existing house, sited opposite the grassy hills of Queens Park and surrounded by period homes required a major refurbishment. 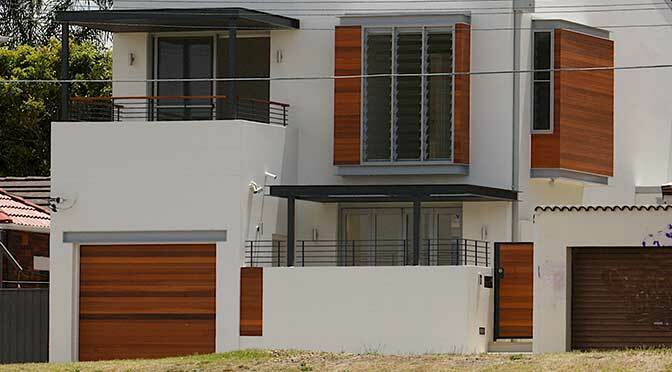 A materials palette of steel, cedar and white painted rendered surfaces now define the exterior of the house. Internally a simplified palette of whites and off-white give the house a freshness. Louvres and stacking doors open up the house from front to back to catch the summer breeze that carries across the site. 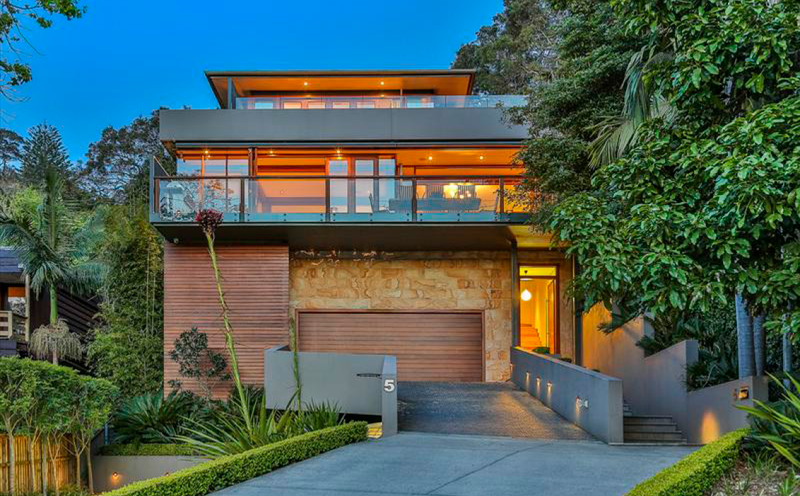 A new waterfront house facing Sandy Bay, Clontarf, Sydney. A series of pavilions that gradually terrace up the slope and enable views across external rooftop terraces and shallow pitched roofs. A lap pool runs the entire length of the northern side of the main house pavilion. Sandstone, cedar cladding and window joinery has been used externally throughout with the recycled woolshed ironbark timbers used for beam and columns supports and flooring. Joinery and bathrooms used Australian black bean veneers and natural stone to harmonise with the overall natural palette of the house.